Corn on the cob is one of my all-time favorite summer-time foods and I can never wait until fresh corn is ready to be picked. I recently tried grilling fresh corn for the first time. 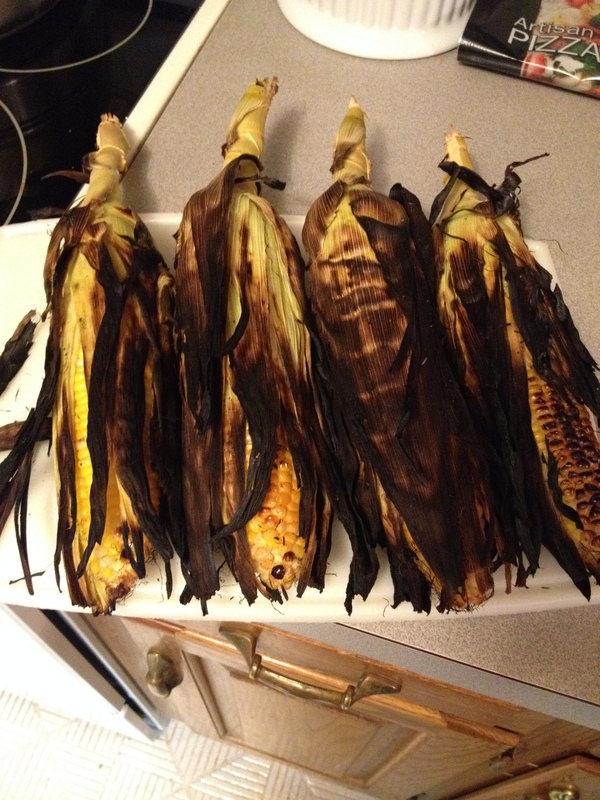 You can find many conflicting suggestions on how to grill corn but what I did was first soaked the ears in warm water, then peeled back the husk and removed as much of the silk as possible and rewrapped the ear. 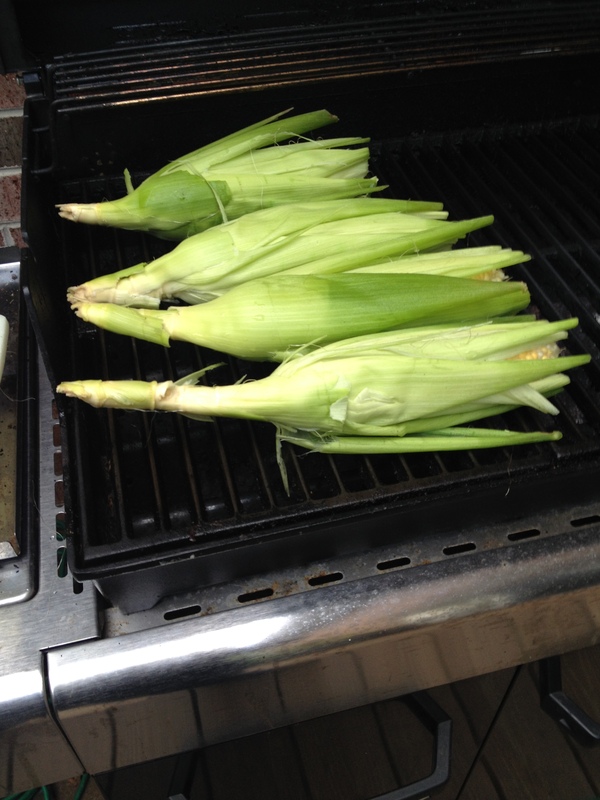 Over a medium-to-hot grill surface it will take 15 minutes or more to completely cook the corn and the husks will become charred. Your corn will stay warm until you are ready to eat, just peel away the husk, add butter and salt and you can enjoy the tastes of summer.